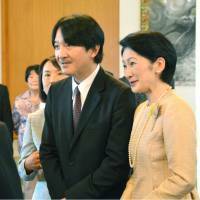 BRASILIA - Prince Akishino and Princess Kiko on Thursday honored Japanese immigrants in Brazil for the role they have played in building ties. 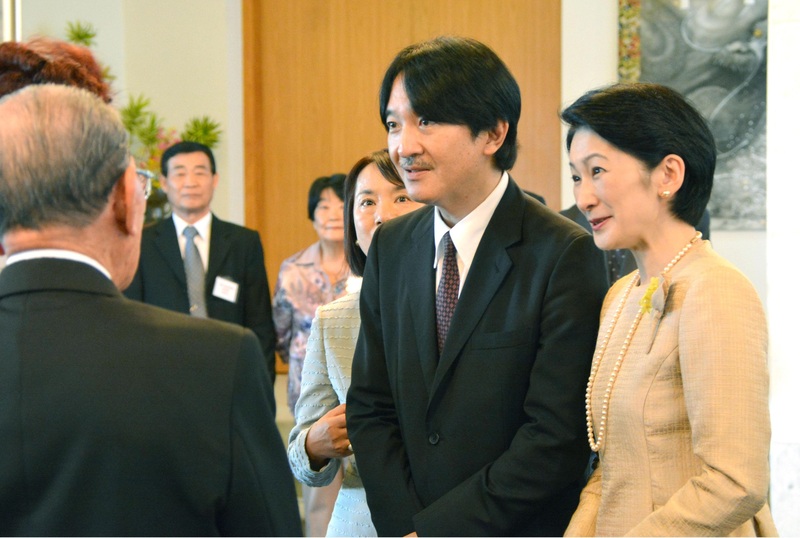 The couple met with immigrants at a reception held at the Japanese ambassador’s residence in the Brazilian capital. A representative of the local Japanese community spoke, too. The prince and princess later greeted and shook hands with each person present. Around 200 people attended the reception. Earlier in the day, the couple attended a ceremony at the National Congress building in Brasilia to mark the 120th anniversary of diplomatic relations between Japan and Brazil. The two countries established diplomatic ties on Nov. 5, 1895. The first group of Japanese immigrants arrived in Brazil in 1908. The couple, who arrived in Sao Paulo on Oct. 28, were scheduled to pay a courtesy call on President Dilma Rousseff on Friday before traveling to Rio de Janeiro, their last stop, and then heading home Sunday.